As a former classroom teacher in New Mexico and as a partner to Chicago Public School teachers engaging students in challenging curricula and teaching methods, I participated in a wide range of excellent educational efforts. But after several years in public education, I became distressed by both the disparities of resources among schools and societal prejudices toward some children whom I knew to be very capable of learning. I was frustrated and needed to learn new concepts while continuing to work with other committed educators. My solution was to enroll in the PhD in education program at the University of Chicago where I could explore innovative methods designed to support and enhance excellent and equitable educational practices for children and teachers. During my studies at the U. of C., I encountered the educational philosopher John Dewey whose ideas and insights presented me with a new way to look at education and so much more. As an alumna of St. John’s College in Santa Fe, N.M., where “great books” and ideas are studied, analyzed and discussed in depth, I believe in the power of ideas. My immersion into Dewey’s ideas dovetailed with that philosophy and helped me see the real effectiveness of connecting ideas to action. I found Dewey’s ideas exhilarating because he delved into how people can and should work together to solve complex problems like those in education. I decided to write my dissertation on Dewey and have since written several other papers on his pragmatic ideas about making things better. After earning my doctoral degree, I joined Roosevelt University’s elementary teacher preparation program. 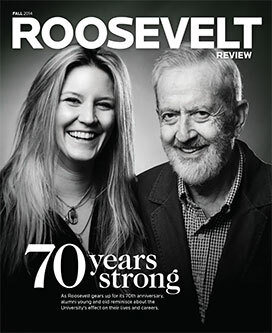 This is my dream job because at Roosevelt education is considered and practiced as a major tool for social justice and for supporting people in achieving their life dreams individually and collectively. This is an approach that Dewey surely would have endorsed. I want to share with you who John Dewey was, what some of his main contributions were, and some ways in which his ideas are still relevant today. In particular, I want to share my excitement about how his ideas can still empower us to work together to make our world a better place. John Dewey (1859-1952) is known as a preeminent U.S. philosopher who wrote about many topics with an emphasis on education. Dewey founded the Laboratory Schools for children at the University of Chicago as part of his pragmatic approach. He wanted educators to both apply educational ideas to practice and to develop new educational ideas by reflecting upon the practical processes of teaching and learning. For Dewey, philosophy (or theory) was not distinct from practice. This was one of many dichotomies that he debunked. Highlighting the power of ideas for actively improving our world was one of Dewey’s contributions to the reconstruction of the field of philosophy. After leaving the University of Chicago, he was appointed chair in philosophy at Columbia University in New York. He wrote prolifically throughout his long life and his thinking and writings contributed greatly to the field of philosophy. He explained that many of us often operate under a false separation of ideas and action which can weaken the power of putting ideas into action. 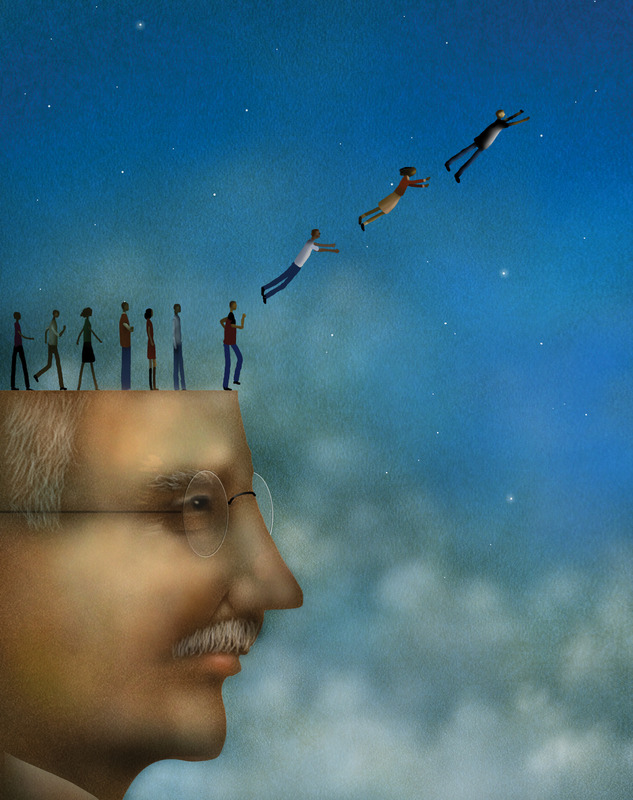 Dewey argued that the value of ideas is measured by the problems they help people solve. In one main area of his writing, he proposed that education could and should be a force that helps learners develop their intellects so they can constantly critique the status quo and work with others to make the world a better place. “Progressive education” is the term that he and others used for this powerful idea. Dewey’s sense of hopefulness is relevant and useful to all of us today. Although some criticize him for being utopian, I and many others applaud his hopefulness. It is based on reality and is a necessary disposition for people to have in order to solve problems and co-create a world that works well for everyone. Dewey’s hopefulness is based upon his observations about humanity that are stunning in their boldness and truth. For Dewey, every person everywhere matters. One main reason for this is that each person has talents that when identified and developed can contribute to the person’s own well-being and to the well-being of others whom she or he influences. For Dewey, all of our efforts impact others’ lives all of the time, but mostly, we are unaware of our interconnectedness and of our interdependence. 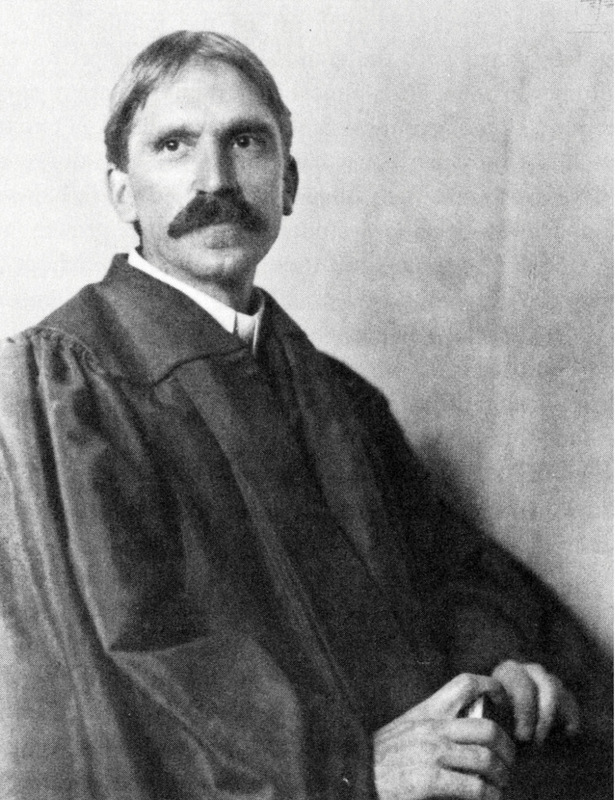 John Dewey, an American philosopher, psychologist and educational reformer, is one of the primary figures associated with the philosophy of pragmatism. Dewey also states that everyone matters because all of us have ample intellectual powers that can be continuously developed. This gives us realistic hope that we can solve paramount problems, such as providing excellent education for all, and eradicating poverty, prejudice and injurious conflict, to name a few. When we have an educational system that acknowledges and helps each individual develop her or his capabilities and when we associate with one another freely and cooperatively in democratic ways, we can solve problems well. What is needed is a much more widespread belief in every individual’s potential and capacities, which requires efforts to reduce prejudice and discrimination. By doing this, everyone’s talents can be recognized. First-rate educational efforts are pivotal because they assist individuals in identifying their talents and developing them to their fullest. Dewey acknowledges that sometimes some of us need more resources than others in order to thrive and develop our abilities and intellects. One possible reason is that some of us have not had the necessary prior support. In these cases, just as a family gives more care and resources to a family member who is sick, society needs to give more to those in need. Furthermore, we need to reduce the negative societal influences and neglect that cause people to be in need. Dewey believed that every child has the ability to learn complex subjects and I was able to see that philosophy in action when I analyzed the mathematical abilities of kindergarteners in the Chicago Public School (CPS) system. As an editor of the Everyday Mathematics (EM) curriculum, I interviewed (with the help of a Spanish translator when needed) hundreds of children. In these interviews, the children demonstrated strong understanding of math and problem-solving capabilities. Our effort at EM was to prove that a challenging and enriched mathematics curriculum could be used successfully in urban schools. We felt the need to show this in order to answer questions we encountered when trying to implement the curriculum in some city school districts. Many believed that only students in suburban schools could succeed with (and benefit from) such a challenging curriculum. Today, the Everyday Mathematics curriculum is widely used in CPS and in other urban and suburban school districts. Our experience with these hundreds of five-year-olds helped us persuade others. This is something that Dewey would support and is just one example of how to identify and develop the robust intellects that all children possess. Dewey wrote extensively about democracy (with a small “d,” and no particular political party). Democracy for Dewey involved having people associate with one another in familiar groups, such as families and religious organizations, and with members of groups they don’t know well. He wrote that an important measure of the worth of a society includes the quality of communication and conjoint action between groups of people with different aims and interests. The more people take the actions of others into consideration and how their actions influence others, the better a society can become. Likewise, people need to learn how we are all interdependent on one another. Everyone in a democracy needs to listen to, work to understand and interact with individuals from as many different groups of people as possible. Dewey was a public intellectual who voiced his opinions and took actions on current events to effect positive change. He promoted informed, organized and individual actions that improve society. He supported the idealistic and practical approach of teachers’ unions whose members worked in a spirit of justice for those who had suffered wrongs or who were in danger of being wronged, including both children and teachers. In just one of many examples from around the world, I believe he would have backed recent actions of the Chicago Teachers’ Union as it seeks to improve learning conditions for students and teachers and to further excellent education for all students. Dewey supported unions whose members worked to preserve the educational foci of schools when forces outside of education sought to use schools for their own benefit. The Chicago Teachers Union has stood up to the growing movement to privatize and fund education by corporations which could result in only a few children and youth receiving the best education. Dewey advocated for educational excellence for one’s own and “other people’s children.” Likewise, people all over the globe continue to stand up for and work towards improved life conditions and Dewey would support them. Too often, youth are seen as empty and in need of being filled with knowledge or as trouble makers — as problems to be solved rather than as problem-solvers. Dewey’s debunking of dichotomies in every field he worked in as a pragmatic philosopher is relevant today. He wrote that thinking in “either-or’s” makes shallow the essential depths in which issues and concepts need to be explored in order to identify and improve the real issues and concepts involved. For Dewey, helping everyone experience life to the fullest in the present and mine the riches of past human learning and accomplishment were both key. Too often today, preparation is only seen as focusing on the requirements for the future, such as readying students for the next grade, college or job. This emphasis often diminishes the learning possibilities present in the lived experiences of children. For Dewey, fusing current life experiences with learning in school helps prepare youth for their futures. Dewey’s advocacy of relevance as an educational lynchpin is important to reclaim today. It is vital for policy makers, elected officials, professional educators and members of society to be driven by this Deweyan question: What do children and youth need to know in order to develop and use their capabilities and talents to contribute to their own well-being and to the well-being of all members of their society? Often today, test scores are made paramount in a student’s progress educationally and in a teacher’s progress as a professional. This is done without a careful investigation into the meaning of the test scores and whether they truly measure well what is most important for students to learn. The high-stakes use of test scores does not focus on improvement, but rather on punishment. If test scores are too low, sometimes students are kept back a grade without additional measures to support the students’ development. In addition, teachers sometimes are let go from their jobs if students’ test scores fall below a set standard and school personnel can lose control of their school. Schools have been closed due to poor achievement as measured by tests. Alternatively, assessments can be useful if they are used to further students’ and teachers’ learning. Dewey advocated focusing on both the child and the curriculum, a title of one of his many books, rather than one or the other. His is neither a child-centered nor a curriculum-centered education. It is both. Educators need to help students see how their interests and capabilities connect with the subject matters of the curriculum. They also need to guide the students’ interests towards learning about meaningful subject matters which have been developed by those who have preceded these children. Educators need to realize that children are capable of developing their powers to contribute new knowledge to humanity and facilitate their growth toward this end. Dewey criticized routine educational practices in his day when children were separated from the day-to-day life of their community. An example of this was (and sometimes still is) when students’ chairs are literally or metaphorically bolted to the schoolroom floor. Dewey explained how this restricts students from following their social motivations to learn with one another and to venture outside the school walls to take part in the community’s activities. Ideal education facilitates children learning from their elders. Education was and can be again an organic part of the economic and artistic endeavors of the community. Through education, the young can not only receive learning from their elders but they also can develop and contribute new knowledge back to the community. At the same time, relevant today is Dewey’s honoring of all children as capable and original thinkers and creators of new human knowledge. Too often, youth are seen as empty and in need of being filled with knowledge or as trouble makers – as problems to be solved rather than as problem-solvers. As noted earlier, Dewey’s philosophy is that every individual matters to the community and every person needs to be challenged and nurtured for their well-being and that of others. In terms of children being seen as making trouble, Dewey wants education to prepare students to fight the status quo, to take stands, and to work toward positive change for all. In conclusion, Dewey’s pragmatic philosophy can help us work together to make our world a better place. His hopefulness, his belief in the worth of each person to contribute to the well-being of all, his definition of democracy as interaction and awareness of interdependence, his insistence that education prepares students to criticize current practices and work toward improved conditions for all, and his declaration that those in need be assisted compels us to think and act accordingly. Do we follow Dewey? Will we? Let’s. Great article. I’m using it for our teacher discussion group this week. Print Design | Right Angle Studio, Inc.